In 2019, the key question is how tightening financial conditions will affect heavily indebted borrowers – and whether this raises the risk of recession. In his annual outlook, Chief Investment Officer Anton Eser discusses where the next vulnerabilities might emerge, what monetary and fiscal policy support might look like, and what all this means for investors. What is factor based-investing at LGIM? James Carrick discusses how we may want to consider Trump's negotiation tactics. We are all prone to psychological traps that can negatively impact our investment decisions. To mitigate these behavioural biases, it is essential to first recognise they exist and implement a disciplined investment process to help avoid them. A joint panel between LGIM and Scientific Beta on factor based investing. During 2017 we voted against 37 board chairs or chair of nomination committees of UK boards due to poor diversity. Graham Moles and John Roe look at the difference between cashflow matching and cashflow aware investing and discuss the role equities can play as part of the CDI spectrum. 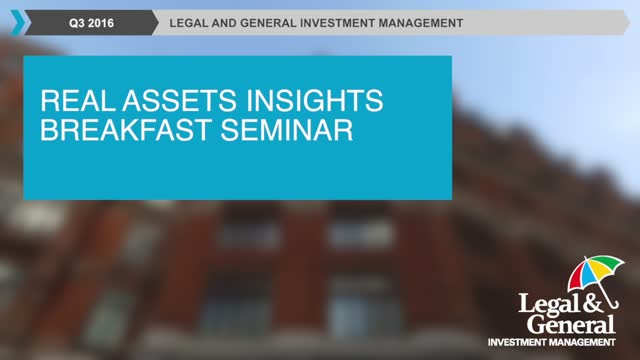 LGIM’s Asset Allocation Team will give an overview of their market outlook for 2018, where they see potential risks and opportunities across the themes of politics, policy and (market) peaks, with time for live questions from the audience.